Trello visual project management and work organization software is being used by individuals, teams and companies across the globe. It enables them to complete tasks, meet deadlines, and achieve goals in a simple and collaborative way. It is easy to use and very flexible. Power-Ups or integrations allow the software to bring in more features from third-party applications. These Power-Ups provide stable and reliable functionality to core features. Another way to enhance the PM software is by using browser extensions. 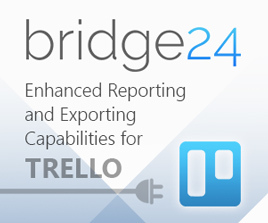 If you are looking for a great reporting and exporting tool for Trello, we suggest trying out our own tool Bridge24 for Trello. These browser extensions enable Trello users to experience an additional one or more features. They are all Chrome extensions, but if similar ones exist for other browsers such as Firefox and Safari, they are mentioned. Opera users can add all the extensions for Chrome but they need to install the Chrome Extensions add-on first. Original Card Counter for Trello shows the number of cards per list and board. Users can see the card count of the list on the upper right corner. It also displays the number of total cards of the board on the header. It supports Kanban limits and will show a red-colored label if the number of cards go over the limit of the list. 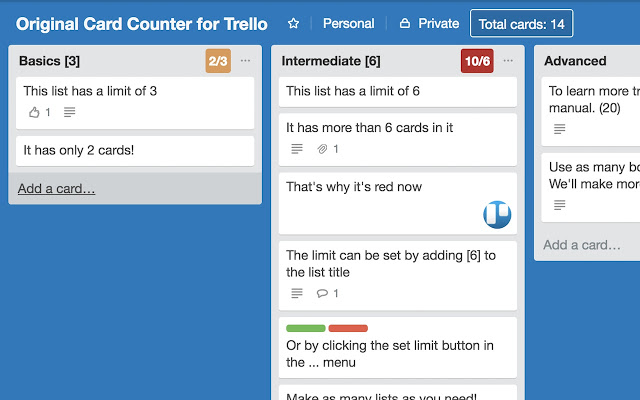 In fact, this extension replaces the CardCounter for Trello extension from the same developer. However, this previous extension has been neglected and is no longer maintained. 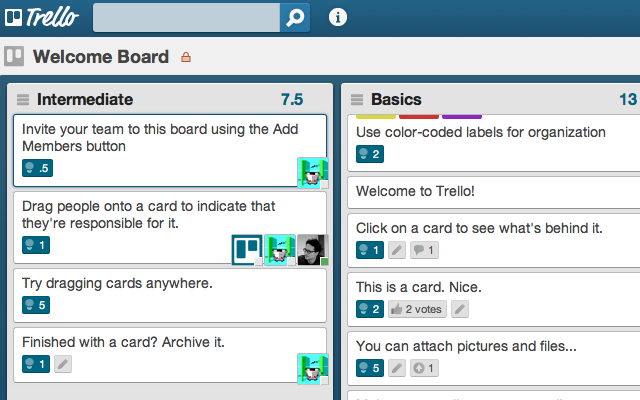 For the Firefox browser, an alternative is Trello Card Counter. Multiselect for Trello is a Chrome extension that allows users to manage and modify multiple cards simultaneously. It is a time-saving feature where they can select several individual cards or an entire list to work on. Then they can open the Actions menu and apply a bulk action to the selected cards. They can move, copy, archive or delete cards. They can assign due dates, labels and members also. In truth, users can even add custom fields to multiple cards or remove them. Ultimello allows users to sort cards by due date, title, votes, labels, last activity date, creation date or date of appearance in the list. However, sorting happens only in the user interface. It is temporary and will not alter the original card arrangement. However, there is an option to save the current sorting. In addition to the sorting features, it also includes a card count for each list and connections between cards. There are no equivalent extensions in Firefox or Safari. 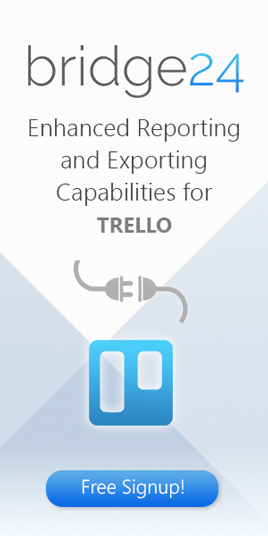 TrelloExport extension allows users to export their data in Excel, HTML, OPML, and Markdown formats. After installation, users can find the export option in the sidebar. It appears below the default export options under More>Print and Export menu option. 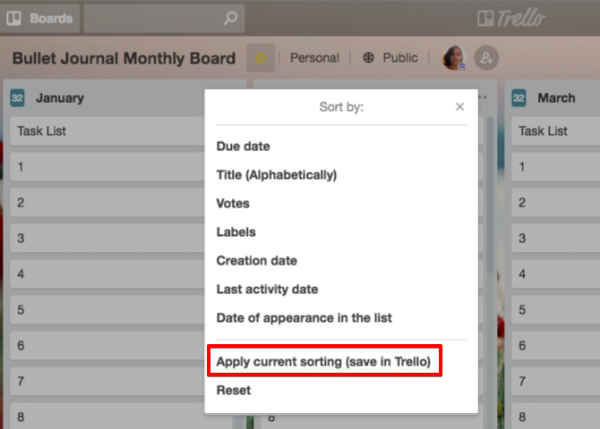 Next Step for Trello is another time-saver extension. Users can mark tasks as done directly from the board. They do not have to open the card back. Instead, it displays checklist items on the front. It is useful for daily or weekly planning and scheduling of tasks. Also, users decide how many of the checklist they want to show up. 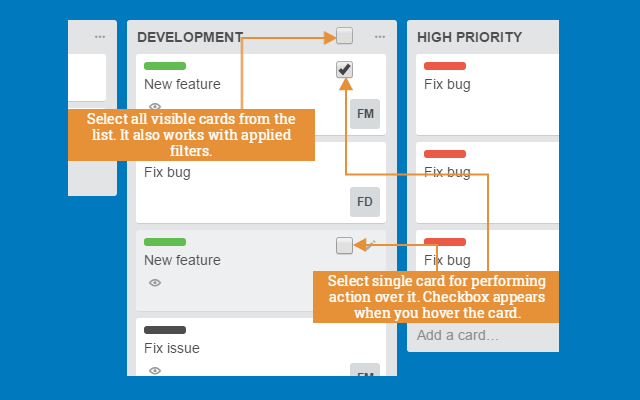 List Layouts for Trello gives users the option to display their lists vertically or in a grid. It has a button that enables users to switch back and forth between the default or the other views. For instance, in the Grid layout option, new lists will automatically start wrapping to the next row if lists can no longer fit in a single row. For Firefox, users can try Swimlanes for Trello add-on. It allows them to create multiple horizontal swimlanes of lists. 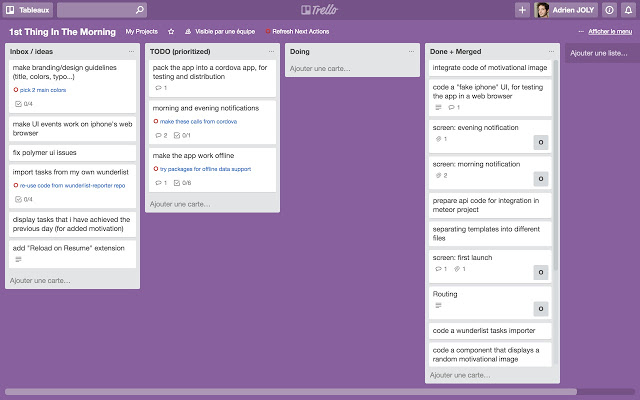 Scrum for Trello is an extension that adds other useful functionality for managing Scrum projects. It includes features for displaying burndown chart links, estimate buttons, and others. To optimize collaboration, everyone in the Scrum team should install the extension to be able to maximize features such as story points. This extension is available in Chrome, Firefox and Safari. Pro for Trello is a free tool that includes several features. For example, it has several card title tweaks that expands the information that the card can hold. 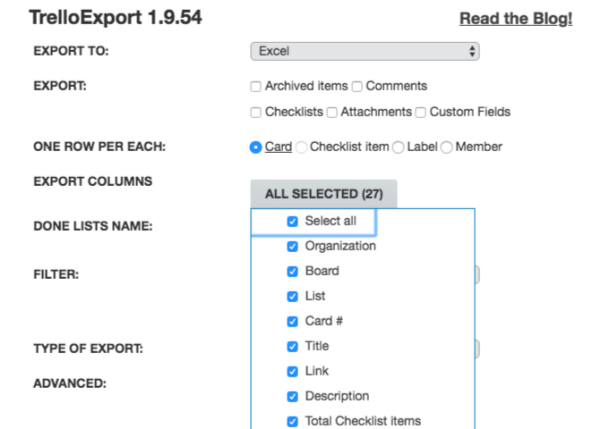 It works on project/group, inline tags, time entries, priorities, card points, and more. It also has board tweaks that enables custom background image, list statistics, compact board option, custom CSS, and others. Users can even configure specific tweaks for each board. 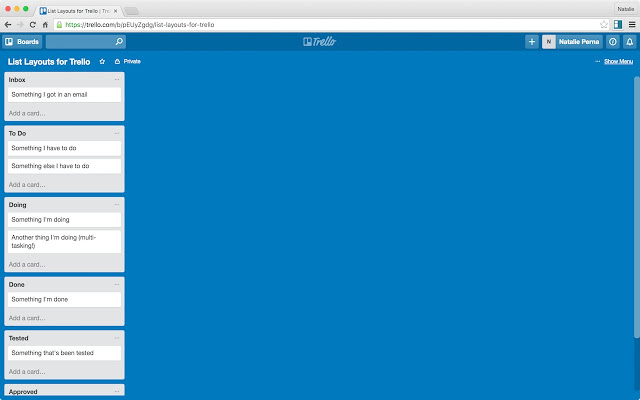 On the other hand, Firefox alternatives are the Trello Super Powers add-on or the Trello Improvements add-on. Trello users working with extensions should remember that browser updates can sometimes cause issues on the extension. On these occasions, a possible fix is by disabling the extension, re-enabling it, and refreshing the browser. 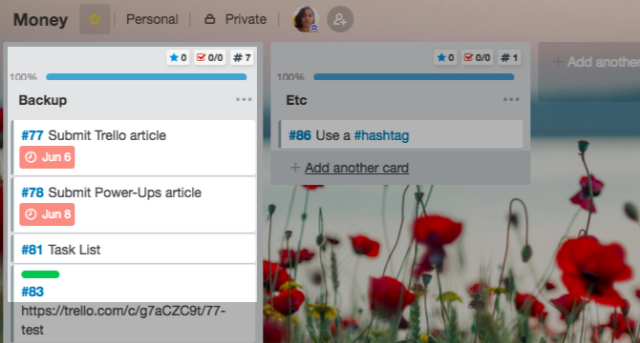 There are other Chrome extension tools for Trello that help boost productivity, such as those for creating Gantt charts, tracking time, adding calendar and timeline views, or for hiding lists. To learn more about Trello integration tools and other productivity tips, check them out on Facebook, Twitter or LinkedIn.